The White House has announced plans to extend US military dominance into space with the creation of a new, sixth branch of its armed forces, called the Space Force. "Now the time has come to write the next great chapter in the history of our armed forces." The separate military department will bolster US defences and the plan is for it to be operational by 2020. In a Pentagon address, Vice President Mike Pence spoke of a stronger, safer America, highlighting emerging threats from Russia and China. Critics, however, have hit back at the announcement saying it’s expensive and unnecessary. In a Pentagon speech on Wednesday, Mike Pence unveiled US plans for “the next great chapter in the history of our armed forces”, saying that the country had to keep up with new technology in order to ensure its continued safety. He said: [we have] “to prepare for the next battlefield where America's best and bravest will be called to deter and defeat a new generation of threats to our people, to our nation. The time has come to establish the United States Space Force." The Space Force will be a separate department of the US military rather than the sub-section of an existing one. It will be the first of its kind since the Air Force was created in 1947. 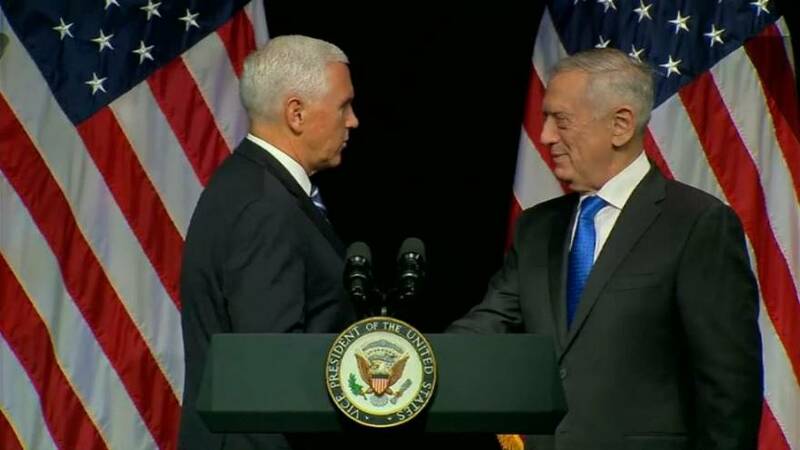 The US Vice President warned in his speech of the advancing threats and “unprecedented new dangers” as he spoke of the “highly sophisticated on-orbit activities” of countries such as China and Russia. In an impassioned address, he said that space was no longer a “peaceful sanctuary but a domain of conflict” and it was in the national interest to ensure that the US “[adapts] to that reality”. While the plans will still require the approval of Congress before they can proceed, Pence expressed hopes that the Space Force would feature in 2019’s budget and be in full operation by 2020. He said: "Today we renew the president's call on the Congress of the United States to invest an additional $8 billion in our space security systems over the next five years." Despite the US government’s optimism, with President Trump tweeting: “Space Force all the way!”, the plans have been met with fierce criticism both inside and outside of the White House. Military personnel and experts have warned of the cost implications of the program and others say the Air Force are worried that their responsibilities will be curbed. Nonetheless the Pentagon has endorsed the program with design ideas already having been released for the force’s official logo.